The Rickmobile offers a pop-up store, complete with a countertop and display case stocked with exclusive “Rick and Morty” merchandise. 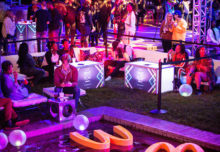 Giving patient “Rick and Morty” fans a dose of their favorite series ahead of its long-awaited season three premiere later this summer, Adult Swim has launched an eye-catching mobile tour that functions as a traveling retail pop-up shop. 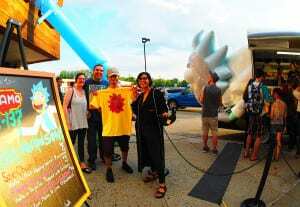 The Rickmobile “road trip” involves 40 markets and stops through October, and is helping Adult Swim make connections with fans and new audiences in markets not always served by its brand experiences, like Santa Fe, San Antonio and Cleveland. 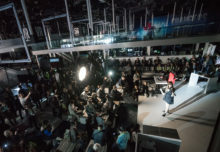 The tour kicked off May 11 in the Little Five Points neighborhood of Atlanta and is scheduled to wrap Oct. 8 at New York Comic-Con. The vehicle, outfitted to look like mad scientist character “Rick” in the series, has a Ford Transit underpinning with the character made from carved Styrofoam on a steel frame with a fiberglass overtop, lacquer and paint. One side of the vehicle has an awning that opens up to reveal a store inside complete with a countertop and display case stocked with exclusive “Rick and Morty” merchandise. Tour staff outside the vehicle at the various stops engage fans and organize lines—one to make a purchase, and one for fans who just want to snap a photo in front of the vehicle (a nice touch to provide this option). 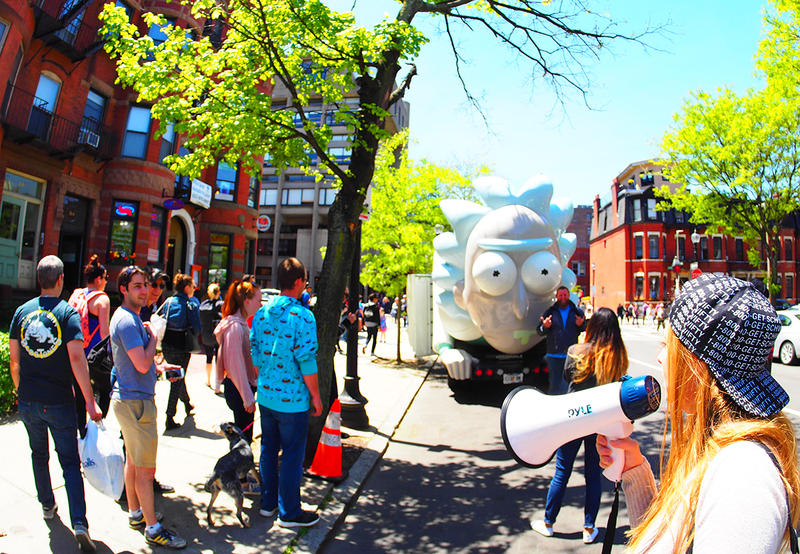 Fans are encouraged to share posts and tag them with #rickmobile and @Rickmobile. The Rickmobile is stopping at comic book shops, taverns, bars, arcades, entertainment events and social spaces throughout the summer, including San Diego Comic-Con in July. 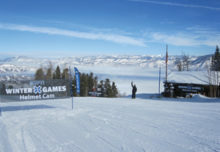 For the tour’s first 12 stops, Adult Swim has recorded some 5,000 individual transactions and more than 12,000 items sold. 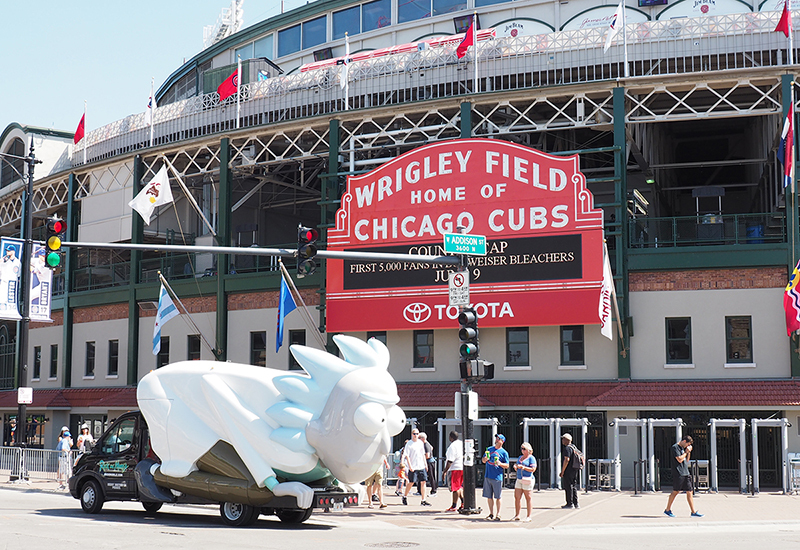 Nearly 15,000 consumers have engaged with the Rickmobile, averaging more than 1,000 visitors per stop—add to that, 15,000 engagements on Twitter and 7,500 engagements on Instagram with a total reach across both platforms of nearly 10 million users. “The [Oscar Mayer] Wienermobile is one of the greatest marketing programs of all time, we love it, and I think if you ask anyone if they’ve ever seen the Wienermobile, they could tell you the story about the first time they saw it or how it arrived at a parade or how they were driving on Interstate 40 and there it was,” says Jim Babcock, vp-consumer marketing for Adult Swim. “So, we wanted to create that kind of moment in people’s minds, and what is more hilarious than getting on the interstate and seeing a giant Rick staring you down.” Agency: GO! Experience Design, Atlanta. The Rickmobile is stopping at comic book shops, taverns, bars, arcades, entertainment events and social spaces this summer.